Dr. Devika Kamath is an Astrophysicist and Lecturer in Astronomy & Astrophysics at Macquarie University. She is internationally recognised for her work on observational studies of dying stars and their implications on the origin of elements in the Universe. As a child, her evenings included spending hours with her grandfather, pretending to navigate through oceans using the night sky, a sextant, and a telescope. Fascinated by stars, she decided to become an astronomer at the age of 13. 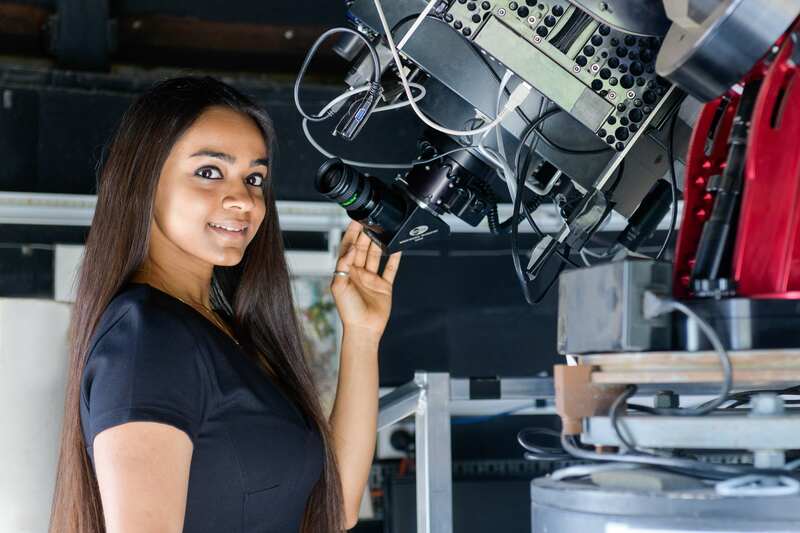 On winning the International Postgraduate Research Scholarship, she left her small town in South India, to pursue a Ph.D. (2013, Australian National University), where she pioneered a hunt for rare stellar fossils; dying stars. This provided a gateway to reconstruct the life of stars and investigate their evolution and alchemy. During her postdoctoral research fellowship (Katholieke Universiteit Leuven, Belgium), her discovery of a new class of stars proved that the evolution of stars in our Universe is more diverse and complex than what standard theories predicted. Dr. Kamath has recently been awarded the prestigious Australian Research Council DECRA fellowship to further develop her research. She has produced over 50 scientific publications and won competitive access to telescopes around the world, for an in-kind value of more than a million AUD. Alongside her research, she is actively involved in student training and outreach programmes which benefit Australia's STEM community.